Tickets still left for our fundraising dinner extravaganza on Tues 29th Sept! We thought it was time to recognise all that's been achieved in our kitchen this year serving our local community, as well as our passion for healthy, sustainable and local food. And what better way to do so than organise a delicious three-course dinner for friends and supporters, rustled up with only the best local seasonal ingredients. 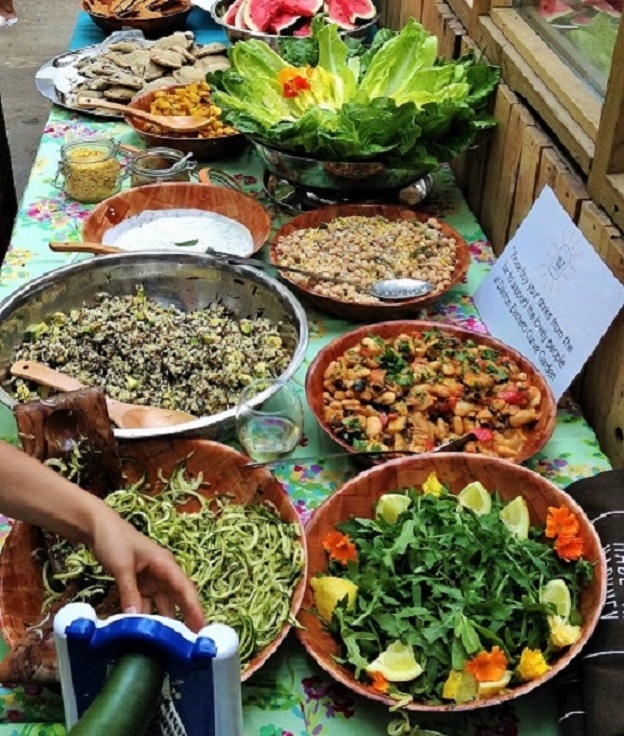 For the occasion, we have teamed up with our friends at Black Cat, a fantastic local cooperative vegan café in Clapton who have not only donated their venue for our event but will be cooking the feast as well. Without spoiling the surprise of exactly what's on the menu (which will be revealed at the last minute to ensure ultimate freshness,) dishes will include locally grown organic produce from Growing Communities, tofu from around the corner in Brick Lane and quinoa and fava beans grown in the UK. When you arrive you will be welcomed with a delicious fresh and seasonal fruit mocktail and invited to admire our photography exhibition which will highlight some of the fun and creativity of people who've participated in our community cookery classes since October 2012. Finally, the evening will end on an uplifting musical note to the sounds of Sawa Blues from Muntu Valdo who will perform his unique acoustic songs. Tickets are £55 and all proceeds will go towards our community projects. So please join us on the Tuesday 29th of September to share the joy! Book Here Now!